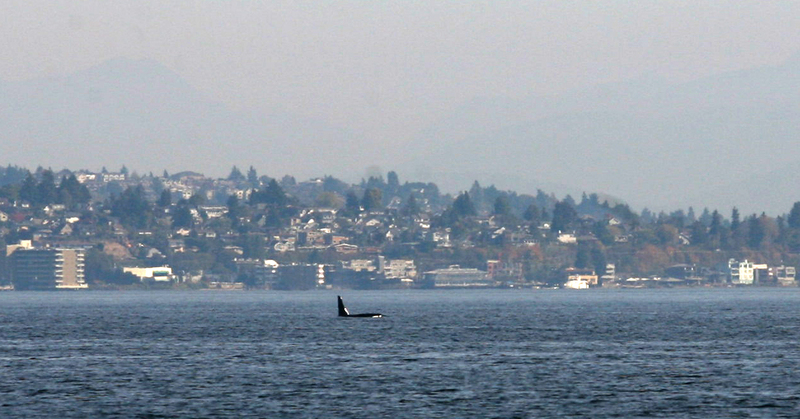 Orcas swim south through Puget Sound between Fay Bainbridge Park and Ballard at about 3 p.m. Monday. (Tad Sooter photos). Here’s Chris Dunagan’s story on what the whales were up to. A large pod of orca whales put on a show off the east side of Bainbridge Island Monday — albeit a show best enjoyed with binoculars. The whales appeared to be cruising midway between the island and the mainland. 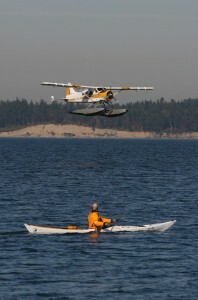 The Orca Network relayed reports of the whales off Point No Point late in the morning. 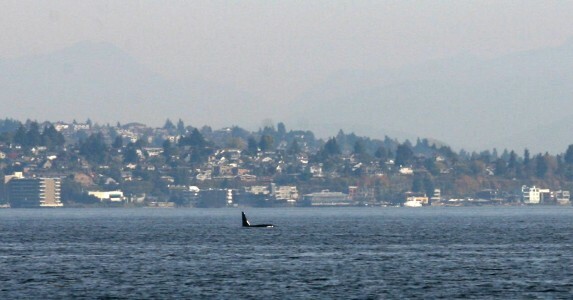 They were spotted off Jefferson Head and Fay Bainbridge Park at about 1 p.m. By 4 p.m. the whales were between Elliott Bay and Eagle Harbor, and still swimming south. 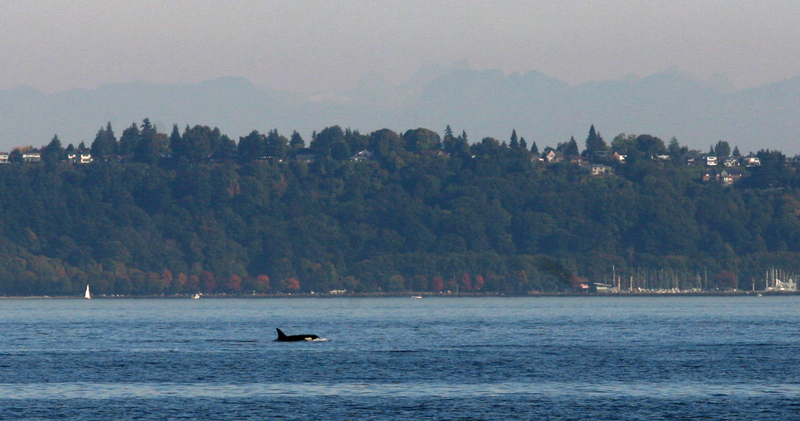 Facebook users reported seeing the whales from the 4:40 p.m. Seattle ferry. 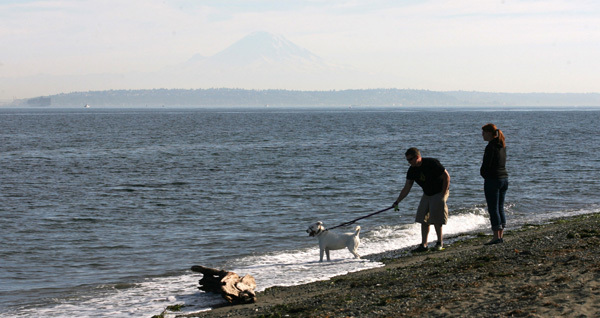 Though they stayed far from shore, the whales caused a stir along the waterfront. 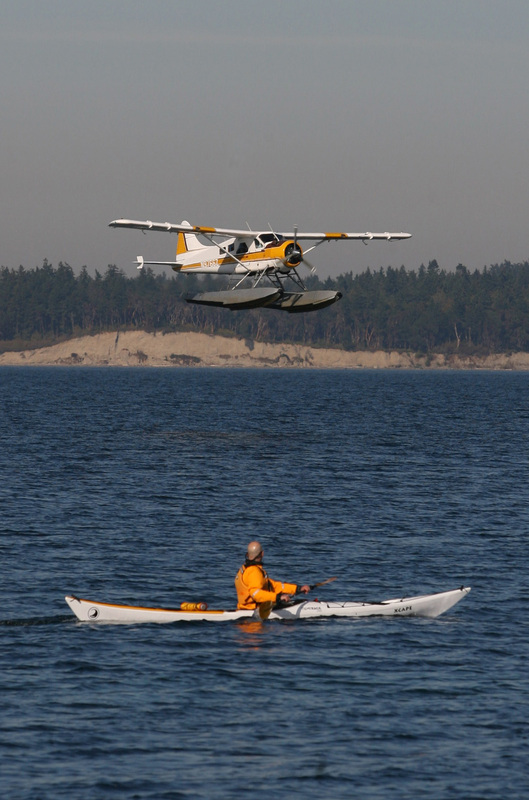 A few families enjoyed whale watching with binoculars from the beach at Fay Bainbridge in the afternoon and a float plane (left) zipped low overhead, making a bee line for the pod. KING5 even followed the whales live with a helicopter for a while. 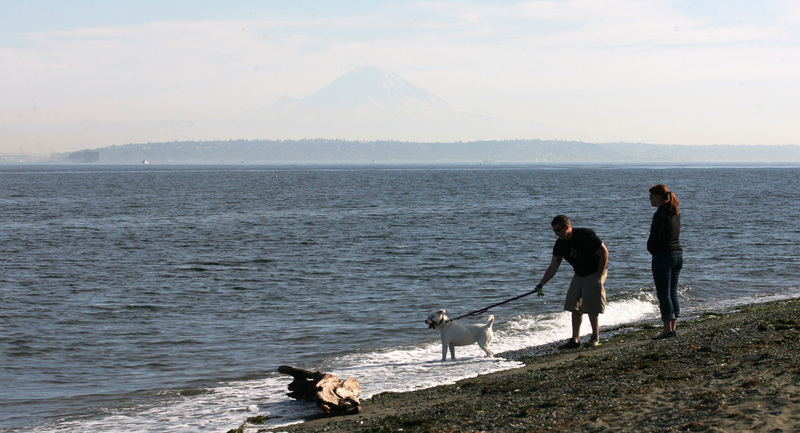 If nothing else, it was a good excuse to head for the beach on a spectacular October day. If you snapped some whale photos Monday, please share them with us. You can email Tad at tad.sooter@gmail.com or post them on the Bainbridge Islander page on Facebook.